First Congregational Church was where my grandparents met and the church they attended when they lived in Montgomery. My grandmother Fannie, her siblings and cousins also attended the school that the Congregational missionaries from the North started. It went from elementary through high school and became State Normal School. First Congregational Church of Montgomery has the hope of becoming a real center for community betterment. This Church stands for independence, freedom, fellowship and for a social gospel. 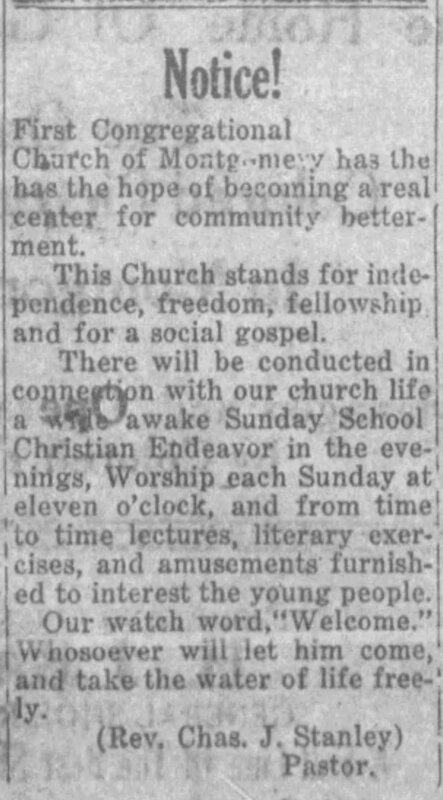 There will be conducted in connection with our church life a wide awake Sunday School Christian endeavor in the evenings, Worship each Sunday at eleven o’clock, and from time to time lectures, literary exercises, ad amusements furnished to interest the young people. Our watch word, “Welcome.” Whosoever will let him come, and take the water of life freely. (Rev. Chas. J. Stanley) Pastor. 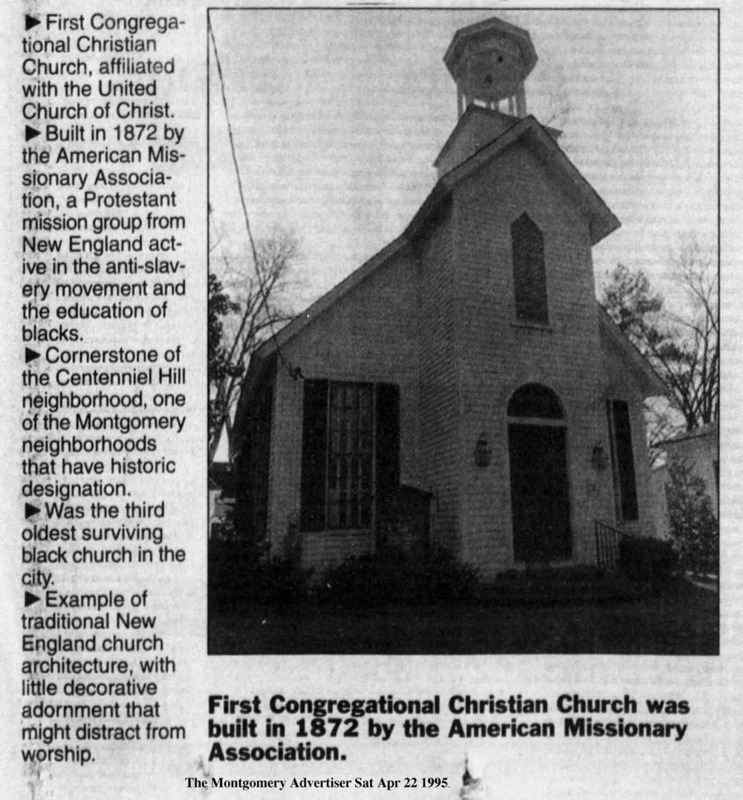 The photograph below is of First Congregational Church, which later changed it’s name to First Congregational Christian Church, came from The Montgomery Advertiser. There is a bit of the history of the church in the sidebar. The original building burned to the ground after a lightening strike in 1995. The congregation has rebuilt in the same spot. I’m pretty sure churches all say that, but it does sound nice. Welcome is a great watch word for a place of worship. Not all are so inviting or tolerant. Interesting that they used New England architecture in a southern church, but I’m sure it’s what they knew too. We had an iconic church in my hometown burn down. They rebuilt it although it’s not quite the same. It’s always interest to look back into the past. That looks so different from the churches I’m accustomed to here in Italy. I like seeing different places of worship. It’s interesting.